"I vividly remember the Stanley knife and the blood pouring on to the floor. Come to think of it, I remember the au pair's screams too." 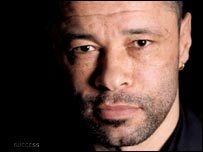 With alcoholism threatening to ruin his football career and marriage, Paul McGrath slashed his wrists as he sat in his bedroom with his young son in November 1989. 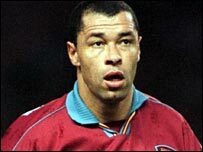 McGrath says it was a "cry for help", unlike later suicide attempts, and a few days later he played in midfield for Aston Villa against Everton. He wore large sweatbands to cover the scars on his wrists and starred in a 6-2 win. This stark contrast between his assurance and confidence on the pitch and his insecurity off it recurs throughout McGrath's recently published autobiography Back From The Brink. "I always felt comfortable on a football pitch," McGrath, looking impeccable in a navy suit and crisp white shirt, says. "That was the time I wanted to shine. It is wonderful to hear your name being chanted in the stadium, you cannot buy that. "I didn't have a nerve in my body when I played football. The nervousness came in when I wasn't playing football, that was when I had problems. "I always shied away from the publicity. I didn't like microphones, I didn't like TV, I didn't like any of the hassles. I just didn't like the hype that surrounded football. The drinking seemed to ease the pressures that I felt." McGrath is often described as the Republic of Ireland's most popular sportsman and is still adored by fans of Manchester United and Villa. The defender was renowned for having what his United and Republic team-mate Kevin Moran describes as "an overdrive". "It is what very few players have - the ability to be running at high pace with someone and, all of a sudden, it's like a fifth gear kicks in," says Moran. McGrath won 83 caps for the Republic of Ireland, played in two World Cups and was the Professional Footballers' Association's player of the year in 1993. Yet he has revealed that he was racked by feelings of insecurity and inferiority throughout his football career. 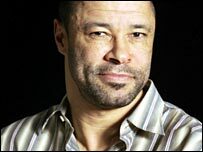 He grew up in an orphanage in Dublin because his mother had been afraid to take a black child back home to her father. It was a tough and unforgiving environment and the 46-year-old says many of his problems stem from this time. "If you are told you are no good often enough as a kid, you start to believe it," he states. "And I was growing up in Dublin when there weren't a lot of black kids around. It meant I had this awful shyness." A football club was not the best environment in which to discuss such issues. "If you are out for a session with the boys, you are not going to talk to them about these underlying problems," he adds. "And you are not going to say 'I am feeling a little bit insecure and shy and frightened and on edge'. You would get a good slapping off one of them. "You would be loath to discuss it with footballers, I will tell you that." Instead, he sought solace in the bottle. McGrath says Manchester United manager Ron Atkinson did not mind players drinking as long as they performed on a Saturday and the centre-half quickly became a fixture in the first team. But Alex Ferguson replaced Big Ron at Old Trafford in 1986 and quickly made it clear he wanted a "football club and not a drinking club". McGrath was subsequently sold to Villa in 1989 and it was shortly after this that he slashed his wrists. Yet he says he harbours no ill feeling towards Ferguson and came to greatly like and respect him after leaving United. "I hated Fergie at the time but I have come to understand what he did," says McGrath. "In fact, I wish I had listened to him and changed my lifestyle. He has been nothing but kind to me since I left the club and has shown himself to be a really decent human being." McGrath played the best football of his career during his seven years at Villa Park and was the club's player of the season for four straight years. Yet alcoholism meant his private life continued to be torrid and troubled. McGrath, who is still an athletic and imposing figure, says he has been sober for the last couple of months and is trying to rebuild his life. Speaking softly but with purpose, he says: "I had been in Ireland wallowing in self-pity. Now it is a case of starting again and winning back the trust of people I have hurt along the way. "I am far more confident that I can do something now. I am nearly 47 now and it is time to let that stuff from my childhood go and live my life." He says he might even consider a career in coaching. "People's ears would prick up because they would think I could never make a coach," he says. "At the moment, it is just a matter of keeping my feet on the ground but after that I would not rule out anything."